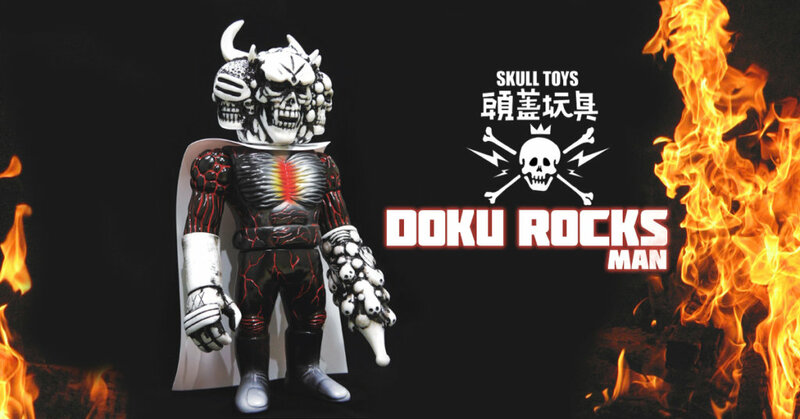 Hands up, wallets out if you missed out on SKULL TOYS “DOKU-ROCKS MAN” at Designer Con 2018! Get ready as Skull Toys are offering you the chance to own one. Wave bye to Skeletor there’s a new boss in town. *Commission “JP 500 yen” will be charged. WHEN: 22 Feb (Fri) 11:00AM – 11:30AM / (30min)…Japan time. E-mail title should be the “Mail order of DOKU-ROCKS 2019”. * 1 person can buy “1pc” only. * If overwhelming response it will be made into a lottery sale. *Other titles can not be accepted. It becomes invalid. Find Skull Toys via Instagram.